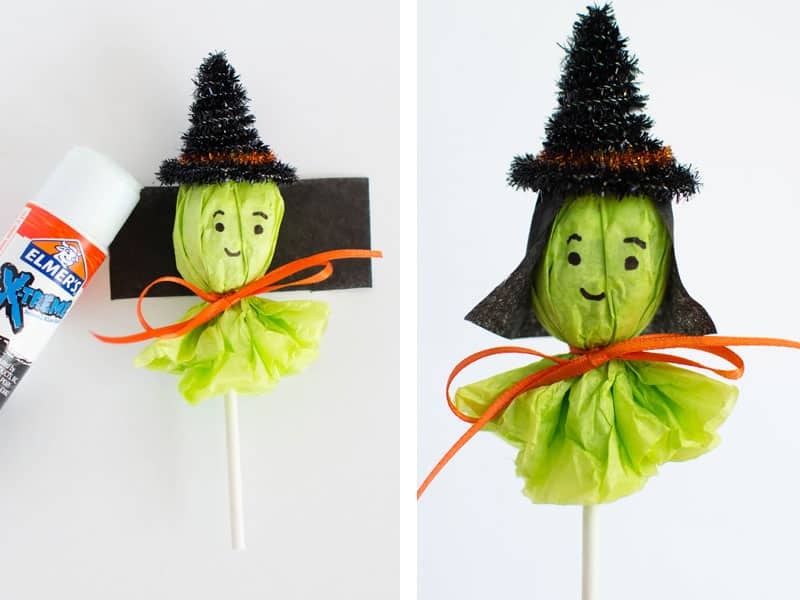 These adorable lollipop witches are fun and simple DIY Halloween party favors and are perfect if you’re looking for Halloween classroom party ideas. The kids will love them, and they aren’t too difficult to put together. Ready to play dress-up with your candy? 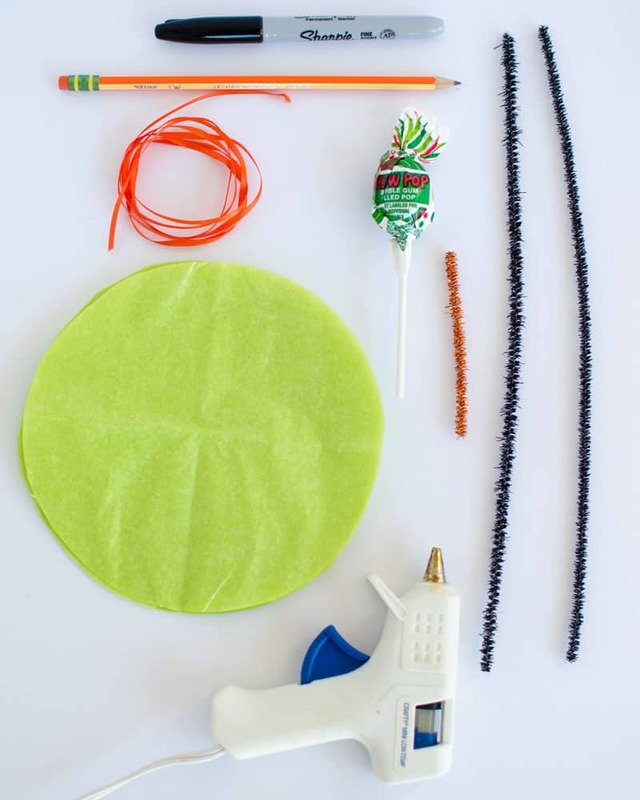 Grab a bag of blow pops and sit down for a little bit of crafty time. 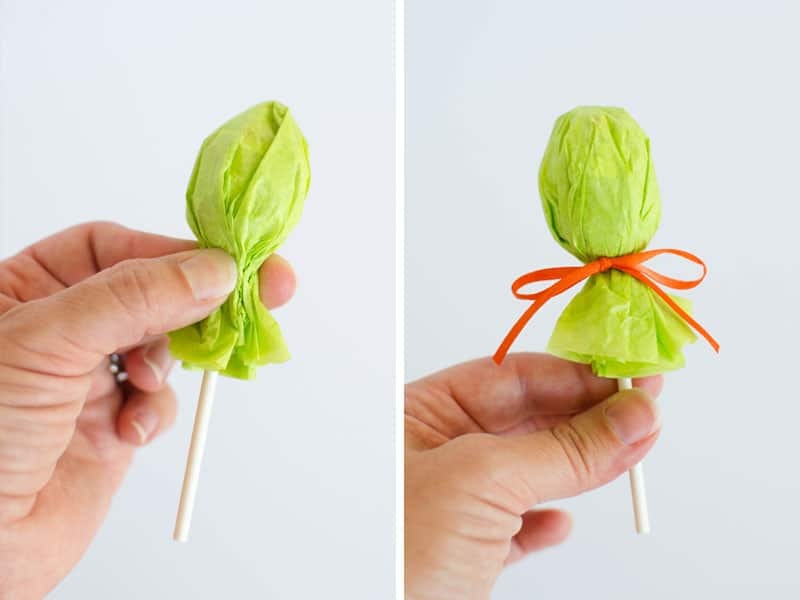 Some parts of these lollipop witches can be a little tricky at first, but it’s well worth taking a few minutes to get it worked out. They are so adorably sweet and the kids absolutely love them. I promise, once you’ve done a couple they get easier and start to go quicker. Before you know it, you’ll have an entire army of witches waiting to be passed out at your kid’s Halloween classroom party. 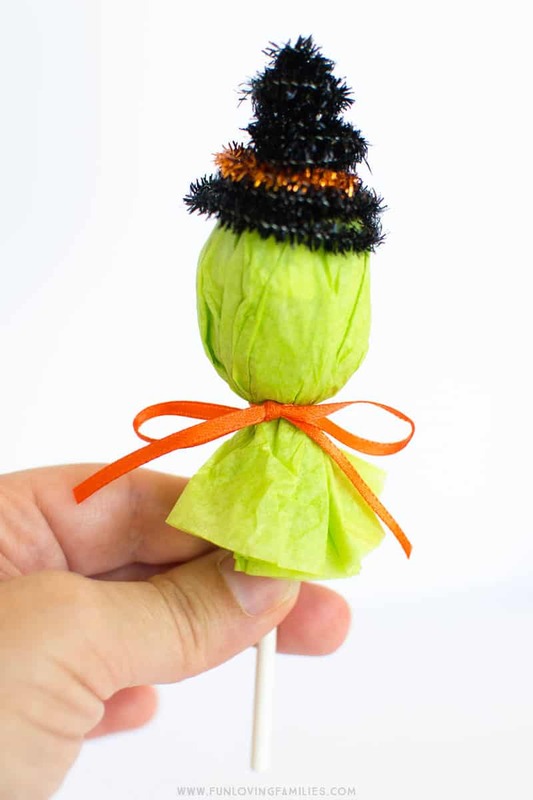 These adorable little lollipop witches come together pretty quickly once you get the hang of how to twist the hat into shape. I’ll walk you through the steps below so you’ll be able to create your own with no problems. To make the witch’s hat, start by twisting the ends of two black pipe cleaners together to make one long piece. Wrap one end around the tip of a pencil, then tightly wrap around the pencil going down about 3 loops around. Switch from the pencil to your pinky, to your thumb (or something progressively thicker and round) so that you end up with a coil. On your last twist around, wrap the end of the pipe cleaner around the bottom coil to secure it into place. 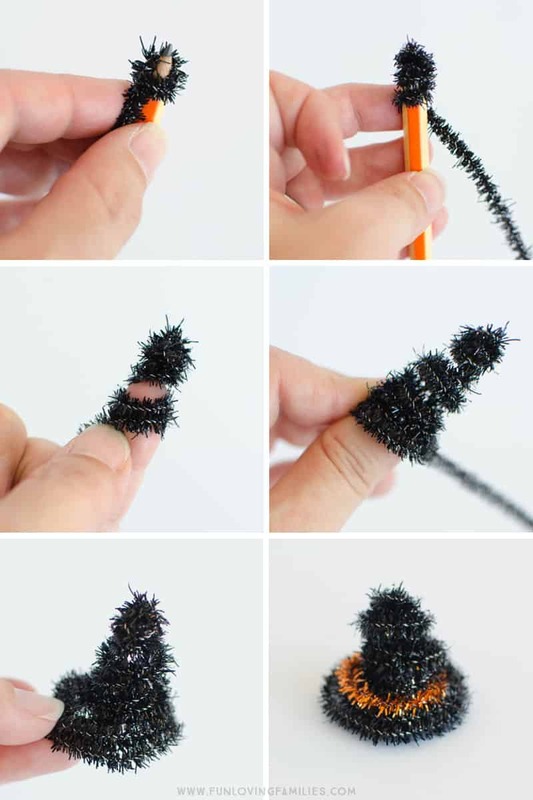 Now connect the ends of your little orange pipe cleaners to make a loop and slide over the top of your hat, then glue your hat onto your witch’s head! 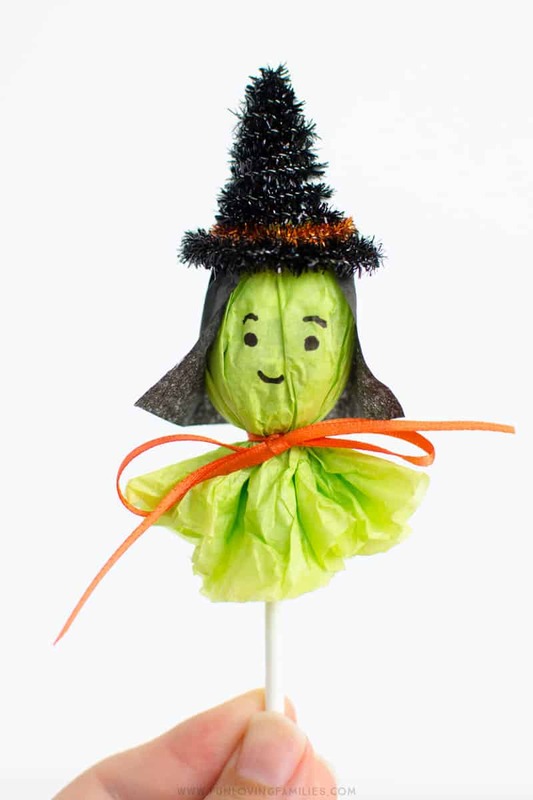 Finish your lollipop witch by drawing a face and adding her hair! Apply a little glue along the top edge of the small piece of black tissue paper to secure the “hair” into place right below her hat. 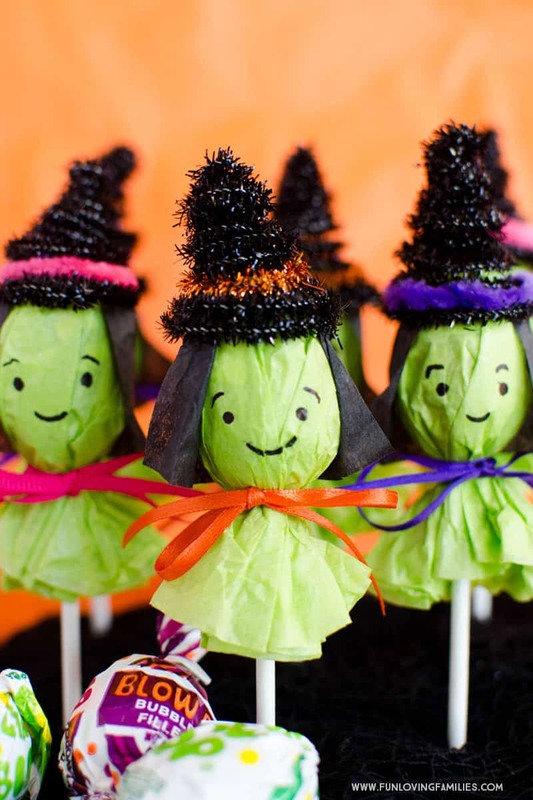 Have fun making these sweet Halloween lollipop witches. 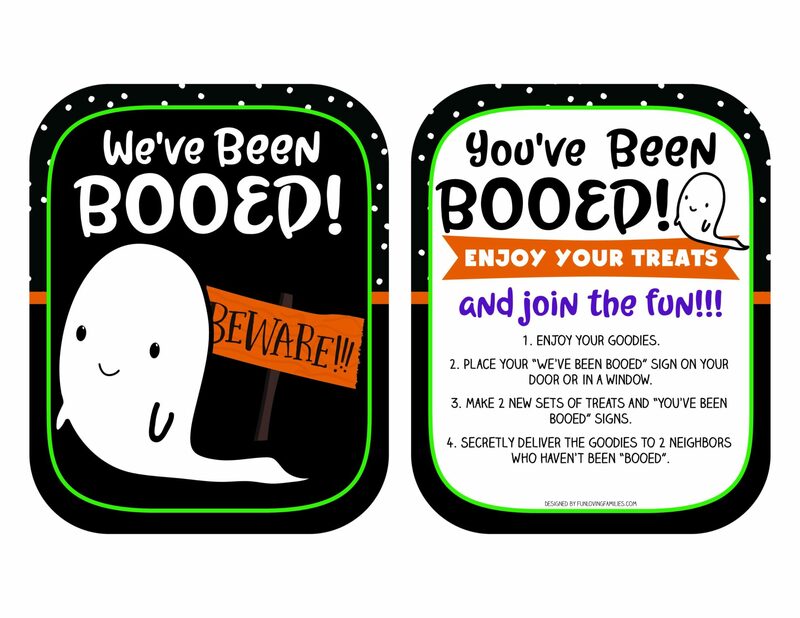 Make a few for the kids to give to friends at school, or make a bunch for your Halloween party! 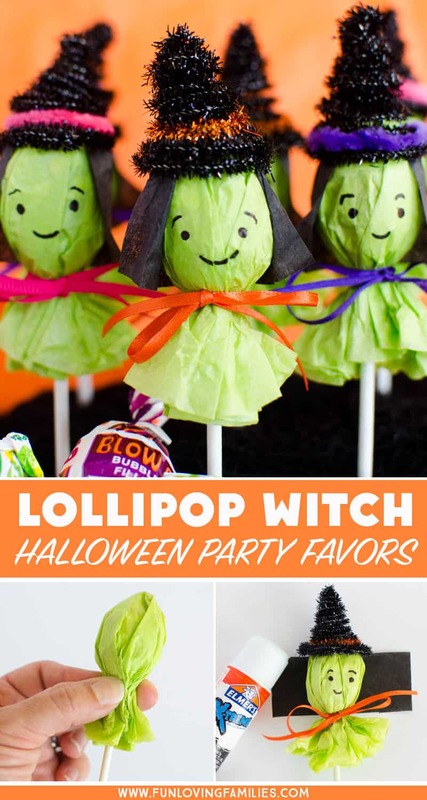 I originally shared these lollipop witch Halloween party favors at Eighteen25. Jodie and Jen share amazing Halloween projects of all sorts all September long during their Spooktacular September, so it’s definitely worth taking a look over there! Click here to save this image to Pinterest!